Phillip Cocu’s PSV Eindhoven are all set for their bow in this seasons’ UEFA Champions League. The Dutch champions, who were the first club from the Netherlands to participate in the competition in 1992, were drawn against Manchester United, Wolfsburg and CSKA Moscow in Thursday’s draw in Monaco. They will be looking to secure a place in the last sixteen writes Sam May. 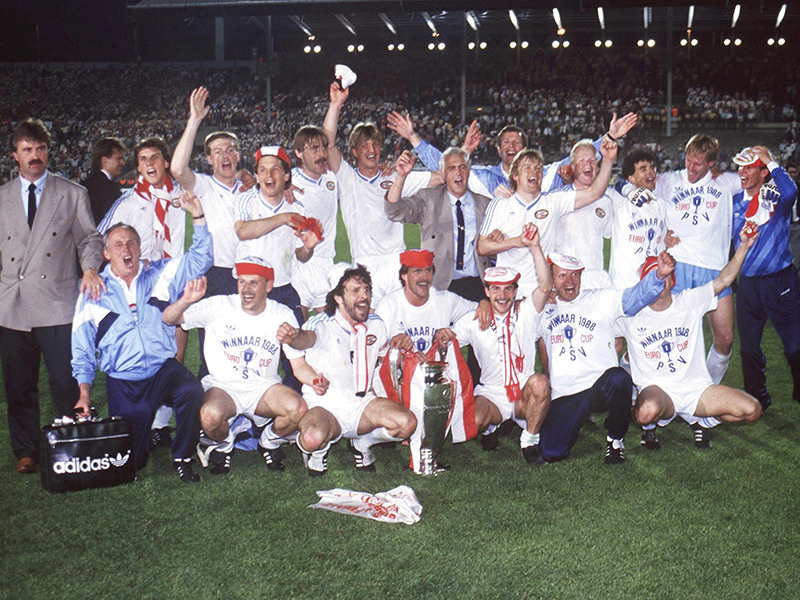 Having played in the competition 149 times to date and winning the tournament in 1988 beating Benfica 6-5 on penalties, PSV come with a wealth of experience and will be looking to emulate the success they have had in recent years. Their most recent success was reaching the play-off round when they played AC Milan in what would be a great achievement for the club, the first leg of the tie finished 1-1 at the Phillips Stadion but the return leg differed with Milan being out-right 3-0 winners. PSV, who have won the Eredivisie title 22 times, play their opening match at home on the 15th September 2015 against Louis Van Gaal’s new look Manchester United side. The former Oranje head coach will return to his homeland hoping to spoil to the party. The first matchday will also see former PSV player Memphis Depay play against his former employers, the 21-year old pacey winger, who has made eight appearances in the competition, scoring three goals, will be looking to add to his tally when he returns to the Phillips Stadion. It comes just after he won the Eredivisie championship a few months before with Cocu’s men. It will also be a return for Daley Blind; the former Ajax player will receive a tasty reception on his arrival. Memphis didn’t take long to spice up the occasion after taking to Twitter straight after the draw was announced stating: “well, well, we meet again”. However, the Dutch club didn’t take long to respond stating: “Were always happy to have you here. Keep in mind were unbeaten at home against Manchester United so don’t expect too much”. Albert Stuivenberg one of Van Gaal’s trusted lieutenants will also return to his fellow country as will goalkeeping coach Frans Hoek, performance analyst Mex Reckers, chief fitness coach Jos Van Dijk and chief scout Marcel Bout. Jeroen Zoet – Recently linked with Crystal Palace, the young 24-year shot stopper, who came through the youth academy, helped clinch the title in 2014-15 with a number of outstanding displays. The goalkeeper is good in the air and also with the ball at his feet. Hector Moreno – Signed from Espanyol this summer, the 6ft centre back comes with a wealth of experience having played for Mexico in the 2014 World Cup in Brazil. His physical prowess means he has the ability to lead from the back, command and organise the defence. Jetro Willems – He represented the Netherlands at Euro 2012 becoming the youngest ever player at a European Championship. Now in the Netherlands first team, the 21-year old was once a target for Sir Alex Ferguson when the Scotsman was looking for ‘the New Evra’ but the move didn’t materialise. Adam Maher – Signed on a five-year contract from AZ in 2013 for €6.5m, he is a skillful 22-year-old defensive and attacking midfielder, who is the youngest player ever playing at a Dutch club to score a goal in the Europa League and UEFA Cup. Andres Guardado – The Mexican 28 years of age, was named Eredivisie player of the season for the 2014-15, he was formerly of Valencia and is a fast left-winger who has an eye for goal cutting in on his left foot. Luciano Narsingh – The 24-year old, is a versatile attacking midfield player who can play through the middle and on both wings. 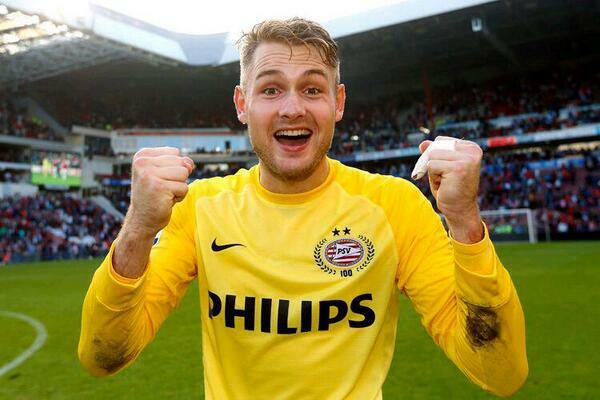 He scored the final goal as PSV defeated Heerenveen 4-1 to help win the Eredivisie title this season. Luuk De Jong – Remember him? He will probably want to forget his short spell in England with Newcastle United. On 2nd August 2015 he scored a double to help PSV clinch the Dutch Supercup. The number 9 will be hoping to get off the mark in season Champions League. Bas Dost will also return to the Netherlands when his Wolfsburg side take on the Eindhoven side on Tuesday 3rd November 2015. The 26-year-old Dutch International, who is currently Wolfsburg’s third-choice striker, had a decent spell with the Bundesliga side last season. He came through the ranks at FC Emmen and Heracles Almelo before moving to Heerenveen in 2010 and then on to the Bundesliga club in 2012. Click on Sam’s name above to follow him on Twitter.